We are present in an era where conversational commerce has become the heart of the online customer journey. In simple terms, conversational commerce is described as the interaction between the consumers and brands which gets facilitated by a variety of communication channels such as, live chats, voice assistants, messaging apps, chatbots and other such mediums. These channels play a crucial role in influencing the decision making of customers throughout their buying journey. 53% of consumers say they are more likely to shop with a business they can message. 39% said they ask questions or seek information; 33% inquire about store hours, location or inventory; 34% make or confirm an appointment; 33% make a purchase or place an order; 30% give feedback and 30% share photos of products. The above statistics are a clear indication of how communication has proved to be a feature of utility to customers as well as the businesses. Among all the communication channels, the popularity of chatbots has grown exponentially. Productivity of chatbots has eased up many day to day mundane tasks for business and agents. Earlier, scripted bots were used to interact with the customers. These scripts searched for predefined keywords or phrases in the chats to understand the customer’s query, and auto programmed responses were sent to the customers accordingly. Major setback experienced in the scripted chatbots was the lack of unscripted intelligence, i.e., to understand the customer's context and improvise the answers dynamically without any predefined response script. With the emergence of Machine Learning (ML) and Artificial Intelligence (AI), chatbots became smarter. This expansion of intelligence into the chatbots increased its problem-solving capabilities; now the programs are collecting, understanding and learning from every human-bot interaction to achieve a high end-to-end conversation yielding better results. Let’s understand in detail, how these AI Chatbots is adding value to the customer service industry, but before diving into how and why first understand the what aspect of Chatbots. Chatbots are intelligently designed computer programs that interact with a user in a human language. This program reads the message and answers them in a matter of seconds. Trained by the developers these chatbots use the natural language processing or artificial intelligence techniques to understand the customer queries and send the best response to resolve their queries. Why Should Customer Service Industry Opt for Chatbots? 80% of brands will use chatbots for customer interactions by 2020. Apple, Samsung, Microsoft, Facebook, and many big tech giants have now leaned onto this potential of chatbots to pace up their customer service. These companies are collectively investing billions into AI-powered chatbots which are empowering their platforms and its services. Chatbots can single-handedly fasten every process be it marketing, sales, or service maintenance. Gone are the days where for every simple query, one needed to reach out to call centres and wait for the agents to connect. Chatbots have made the query resolution quick and efficient. Now, customers simply need to type in their queries on a chat interface and let the chatbot do the rest. Chatbots do not get sick or need a vacation, i.e., chatbots assure 24*7*365 availability to the customers which ultimately increases the overall efficiency of the business. Apart from business, customer’s efficiency also gets maximised as they no longer need to spend their time waiting in call queues. Instead, they can multitask by asking queries on chatbot along with doing their regular work. Chatbots surpass the quality of customer service when the nature of requests is repetitive and predictable. Tasks such as sending regular business updates or answering the same kind of informational queries easily gets handled by automated chat agents. Automating these tedious everyday tasks boosts the quality of the customer service drastically. Tasks such as sending regular business updates or answering the same kind of informational easily gets handled by automated chat agents. With this automatization, agents can focus more on quality and productive business areas rather than remaining entangled in the never-ending web of queries. In case of any changes in business, chatbots give more accurate information in comparison to a human agent. It pulls out any scope of human error such as forgetting the right information or not being aware of any new change in the services. The information is picked up by an automated script with dynamic parameters, i.e., the updates are accessed from the database directly, eliminating any scope of data discrepancy. Once the chatbot gets trained with all the relevant data, FAQs and past cases, the accuracy of the query resolution and user suggestions get multiplied automatically. 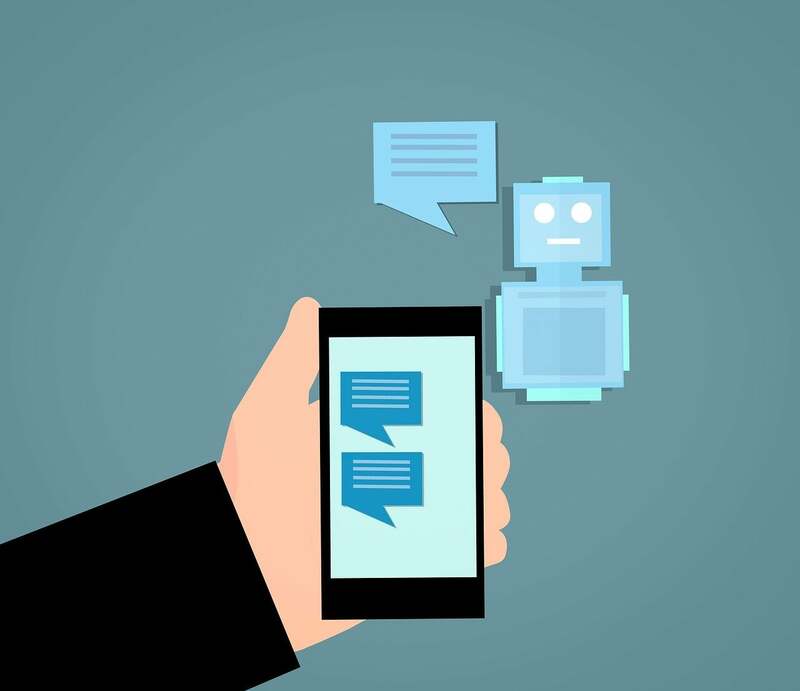 According to Chatbots Magazine, businesses can reduce customer service costs by up to 30% by implementing conversational solutions like chatbots. It has reduced the need for hiring and training the agents which translate into lower business expenses. Chatbots can easily handle basic customer concerns and can upgrade the service quality by constantly learning from the incoming customer data. Apart from hiring less staff, chatbots are also proving to be cost effective by streamlining the customer service in the form of reduced waiting time, faster issue resolution, and replacing time taking manual tasks. Don't We Need Human Agents Now? Undoubtedly, chatbots are here to stay for a longer run, but so are human agents. Customer service is one vertical which needs a perfect blend of automated and human intelligence. They prove to be exceptionally beneficial for the basic level customer service, but human assistance still plays the most significant role to handle complex high-level queries. Chatbots intelligence is still in an evolving phase, it can smoothly handle coded queries, and with inculcation of AI & ML, the query handling is only getting smarter but to reach the level of human intelligence we still have a long way to go. For machines to override human beings, they would have to do every step-in society, of digging oars out of quarries and refining materials and building up all the products and everything we have in our lives and making clothes and food. That would take hundreds of years to change the infrastructure. Chatbots struggle to answer customer query which deviates from the coded intelligence. AI-powered chatbots are yet not fully capable of answering all kind of customer queries such as sentences with a spelling mistake or broken context. Customers want to be heard and understood, so they still trust human agents when it comes to problem resolution. Thus, you can’t say chatbots are the replacement of humans. Instead, it can better be explained as a feature which compliments human agents in maximising the customer experience, by making the whole experience fast, error-free and empathetic at the same time. Amazon famous e-commerce chatbot “Alexa” assists customers in their buying process. Customers now look out for orders through chat, rather than browsing on the website. It perfectly handles customers while searching for an item or with other basic informational queries; you simply need to type, “I need new sneakers”, “price of XYZ item” or other keywords which can be easily understood and answered by the chatbots. When you want to ask enquiries regarding a payment deduction of a failed order, cause of delay in delivery, damaged product complaints, or any other complicated issue, then approaching the human agent seems more feasible and solution oriented. Humans can empathise with the caused inconvenience and understand the seriousness of an issue over the call which cannot be understood over automatized chatbots. Well, chatbot is no magic, it is an evolving process which has been maturing with the incorporation of advanced technologies. This change in customer service is pushing businesses to adapt chatbots as a regular part of their functioning. While chatbots are becoming intelligent with the inculcation of AI & ML, we still have a long way ahead as customers still prefer a human communication in preference with chatbots. Manisha Mishra is an avid content strategist having interest in varied aspects of technology. She aim to share the technical knowledge through the simple yet effective combination of words so that more and more people could understand different fields of technology in an easily understandable voice. Currently working at Servetel, a company with a focused on providing Cloud Telephony solutions, her writing is majorly focused on the features, and the customer experience this technology provides. Writing blogs, reading books, exploring new avenues, and networking with new people keeps her motivated in leisure time.